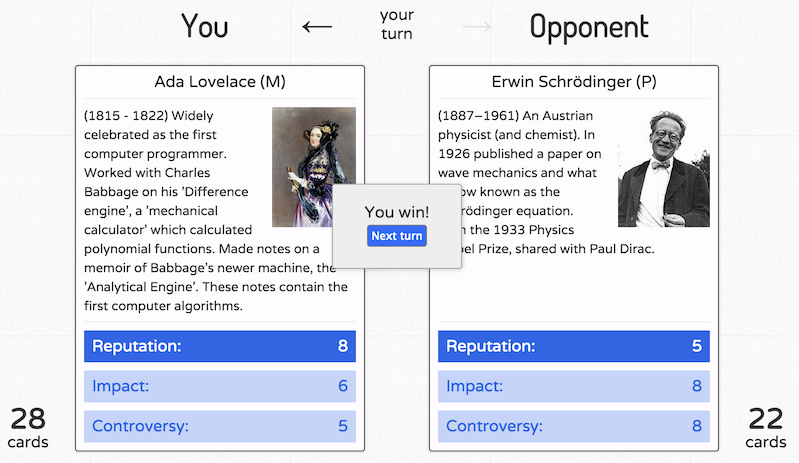 A Race To Publish - go head-to-head with an AI opponent and try to collect all their scientist cards! Eat, Eat, Eat - a game about the dangers of eating too much and being overweight. 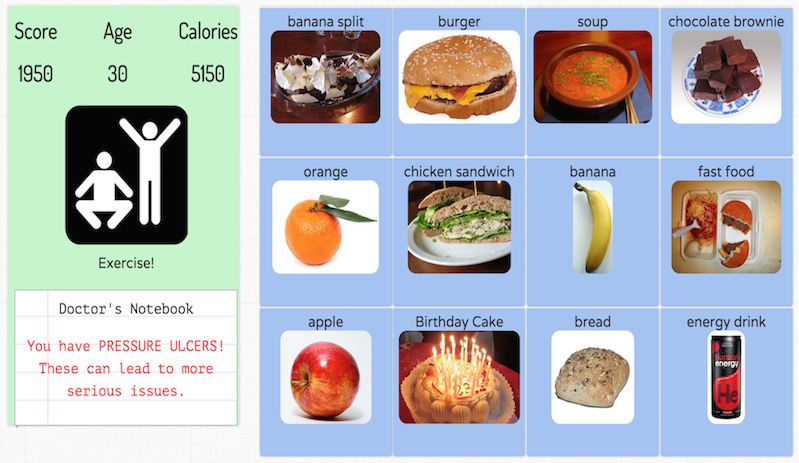 Collect points by eating food, but watch your calories! SORS - a sci-fi doctor simulator. Diagnose and treat patients whilst speaking to colleagues and working out who to trust.